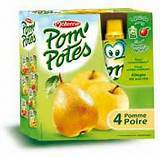 Materne, a French company http://www.materne.com/ filed trademark application number 221487 for the word mark Pom’Potes in June 2009. The mark covers preserved, frozen, dried and cooked fruits and vegetables; jellies, jams, compotes; fruit puree, marmalades, fruits in syrup; milk and milk products, milk desserts; all included in class 29. The mark was allowed in March 2011 and and at the end of June 2011, Pom Wonderful LLC, a US private company which sells beverages and fruit extracts http://www.pomwonderful.com/ filed an opposition. After negotiation between the parties, Materne dropped the mark and the file, including the opposition proceedings were closed. Pom Wonderful filed a request for NIS 14,682.91 in costs, claiming that the withdrawal of the application was a concession of defeat. Materne argued that in the circumstances, this was exaggerated. The procedure had been simple and no evidence supporting the requests for costs was provided. Pom Wonderful’s attorneys provided an invoice to substantiate the request. Ms Shoshani-Caspi, the adjudicator of Intellectual Property at the patent office noted that in addition to being provided late, the invoice lacked essential details such as the number of attorney hours and the attorney’s hourly rate. She noted, however, that neither side had shown inequitable behavior and ruled NIS 8000 in costs. POM means apple in French, and apart from Israel’s growing French ex-patriot community, Algerian, Tunisian, Lebanese and Morrocan immigrants also tend to speak French. I don’t, but remember the word from my French ‘O’ Level studies in England. I don’t think either firm deserves a monopoly on the word, but Pom-Pote is a compound word, reminiscent of compote, and, despite not seeing the statement of case, I don’t think the opposition would have won on its merits. I have not seen the brand in Israel and suspect that this was why the mark was abandoned. Pom Wonderful is actually a variety of pomegranate whose juice, the US company claims to treat erectile dysfunction. On May 22, 2012, Chief Administrative LawJudge Michael Chappell ruled after a hearing that the company’s claims were deceptive and issued a cease and desist order effective for 20 year “The greater weight of the persuasive expert testimony demonstrates that there is insufficient competent and reliable scientific evidence to substantiate claims that the Pom products treat, prevent or reduce the risk of erectile dysfunction or that they are clinically proven to do so.” – In other words, the claims don’t stand up to scrutiny.